Observatories on Earth are cheaper than telescopes in space. They are also improving rapidly – when the European-Extremely Large Telescope starts its observations in nine years, it will be able to provide images 16 times sharper than those taken by the Hubble space telescope. But while it may seem hard to justify investment in space telescopes, the ground-breaking discoveries made by Hubble have taught us just how valuable they are. Hubble, which was the world’s first space-based optical observatory, has made amazing discoveries in all aspects of astronomy, from flashes of aurora on planets and moons in our solar system to the evolution of galaxies billions of light years away. Observations by Hubble helped determine the rate of expansion of the universe in a Nobel prize-winning study. We have witnessed stars being born in nurseries like the Eagle nebula and exploding as supernovae. Hubble has also captured a powerful jet emerging from a black hole at the centre of another galaxy. These discoveries come at a price. The Hubble mission cost $1.5 billion at its launch in 1990 and the maintenance costs have also been sky-high. The eagerly-anticipated first pictures taken by Hubble were disappointingly blurry. The 2.4 m diameter mirror inside the telescope was slightly flawed so the light was not focusing correctly. Installation of an optics system to correct this problem was the target of the first Hubble servicing mission, carried out by space shuttle astronauts over five days of spacewalks in 1993. Four further servicing missions were carried out from 1997 to 2009 to upgrade and replace scientific instruments, power and guidance systems, and each mission had associated risks and expense. Since the end of NASA’s Space Shuttle programme there has been no way to carry out further servicing. Space telescopes are not getting any cheaper. The successor to Hubble, the James Webb telescope, has been plagued by a number of delays and rising costs. As it prepares for launch in 2018, it will have cost about $8bn to build, launch and commission. One significant advantage of building on the ground is that the size of the telescopes can be much larger than can be carried into space. Telescopes on our own planet have also made amazing discoveries, such as the Gemini telescope observing Jupiter’s two giant red spots brushing past one another in the planet’s southern hemisphere. The Keck observatory has detected water vapour in the atmosphere of a planet orbiting another star. The European Southern Observatory telescopes tracked stars orbiting the black hole at the centre of our galaxy to understand the formation of the stars and their interaction with the black hole. However, ground-based telescopes aren’t cheap either. 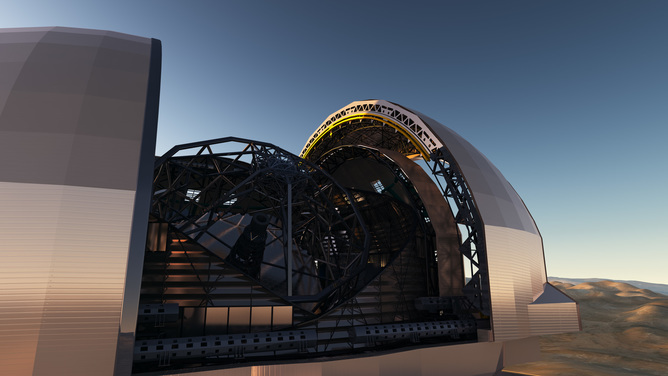 Work has already begun on the European Extremely Large Telescope, sited in Chile’s Atacama desert, with a cost estimated to be over €1 billion and with annual operating costs of €50m. But this is still less than Hubble and James Webb. When E-ELT observations start in 2024, the state-of-the-art correction for atmospheric distortion will allow it to provide images 16 times sharper than those taken by Hubble. With technological advancements like this it may seem hard to justify the expense and risk of future space-based telescopes. However, the simple fact is that if we choose to only observe from the ground we will make ourselves blind to a wide variety of astronomical phenomena and potential discoveries. These include some of the universe’s most energetic events, such as gamma ray bursts. The main reason for this is that the atmosphere of our planet does not hold back space telescopes. While the atmosphere lets through visible light, to which our eyes are sensitive, it absorbs light at some other wavelengths so we can never see it from the ground. In addition, turbulent motion in the atmosphere blurs the light travelling through it, causing objects to twinkle and appear fuzzy. Another problem with ground-based telescopes is that they are subject to local weather conditions, and high clouds can ruin the chance of making any useful observations. From its vantage point above the atmosphere, Hubble avoids these effects and can produce high-resolution images over a broad spectrum. The scientific value of these observations is evident in that applications by scientists for observing time on Hubble last year were oversubscribed by a factor of five. It has also been an important source of scientific papers. 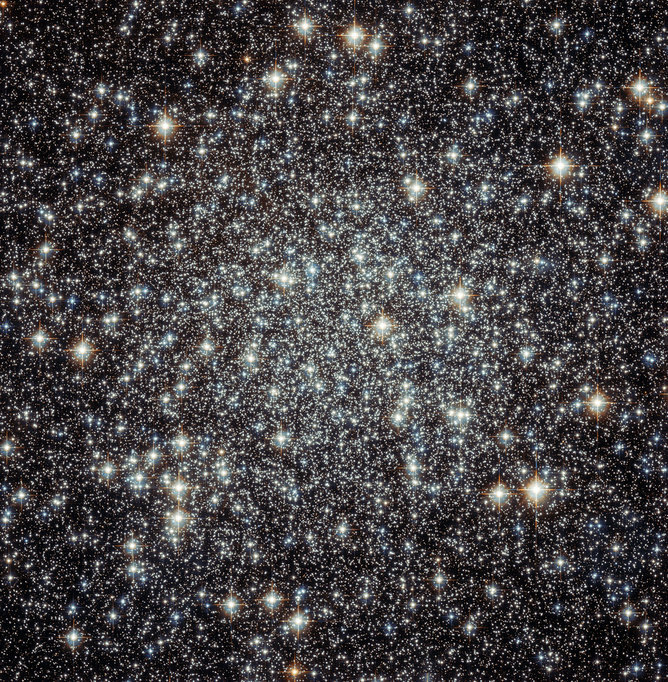 According to a survey by the European Southern Observatory last year, Hubble has produced between 650 and 850 papers per year since 2005 – which is far more than any of ESO’s ground-based telescopes. 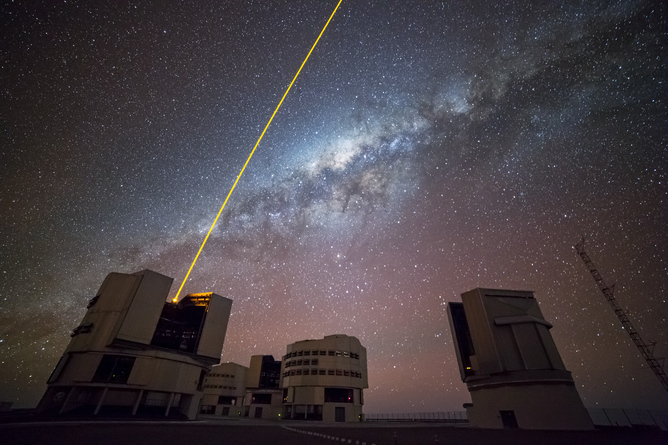 The investment in astronomical telescopes, whether in space or on the ground, has to be justified by the scientific return – and in selecting new facilities it is fundamentally the science which drives the decision. Having worked with telescopes both on the ground and in space, I feel that science ultimately needs both. But in a world of limited funds we can’t have it all. International co-operation is therefore the key, whether it is about placing a new telescope in another country or providing an instrument for a mission led by another space agency. The value of the observations made by telescopes based both on the ground and in space can be measured not just by the scientific results in understanding the near and far universe, but also in the inspiration that these images and discoveries provide.